The grim reaper is a humanoid representation of death that is familiar to almost everyone. 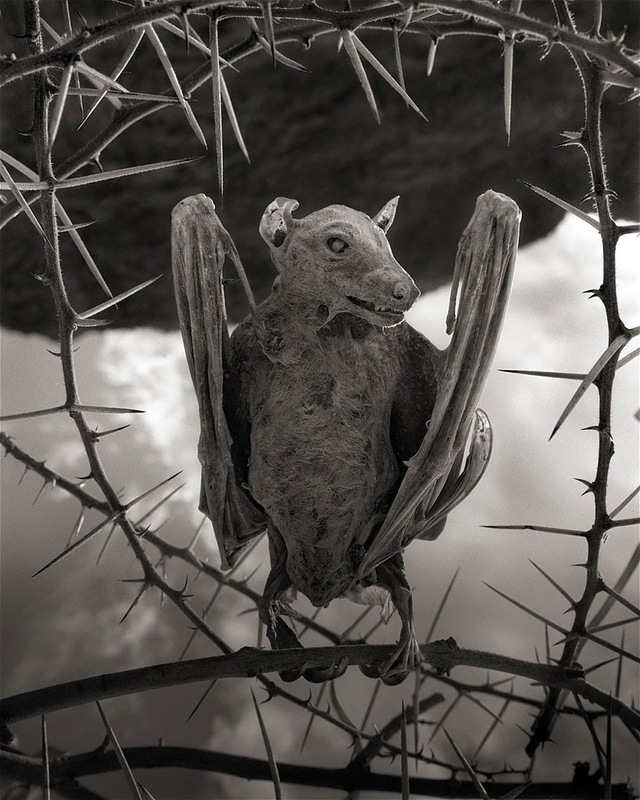 Photographer Nick Brandt, however, has captured a mesmerizing series of images at Lake Natron in Africa showing us what the grim reaper‘s animal equivalents might look like. 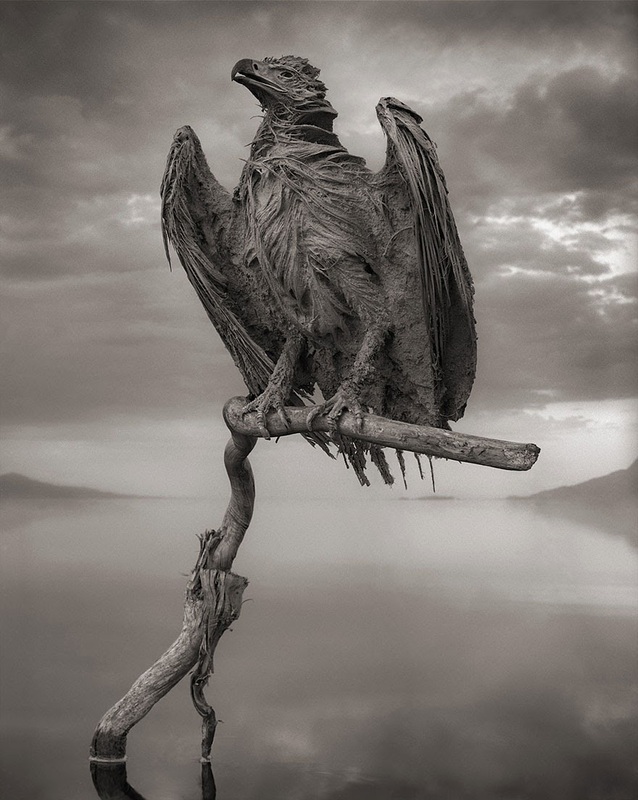 Lake Natron is a salt lake in Tanzania. It it an extraordinarily harsh environment, where the extremely salty water may reach temperatures of 60 C (140 F) and an alkalinity almost as high as that of ammonia. 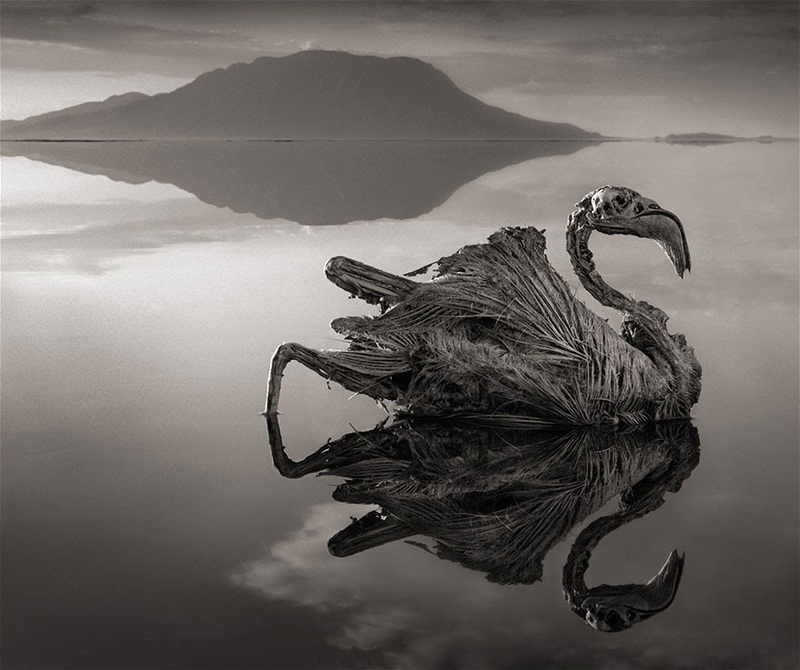 The lake is completely uninhabitable to all but a few organisms – salt-loving bacteria, alkali-loving fish that live near the hot springs that feed the lake, and flamingoes, which can nest safe from predators on small islands of salt. Interestingly enough, the salt-loving algae that the flamingoes eat at lakes like these are part of the reason that they become pink, alongside the shrimp that they also dine on. 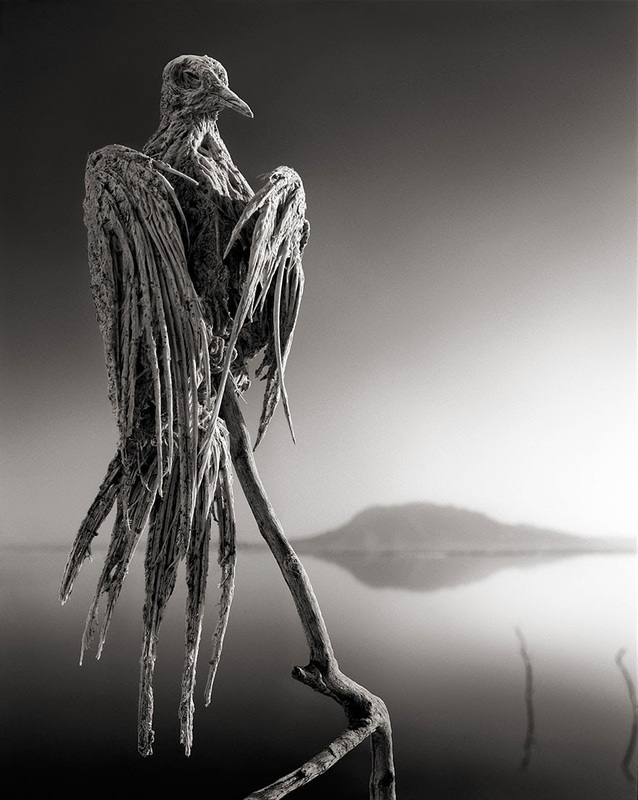 The process by which these unlucky birds have died is unclear, but the author says that a factor in it is the lake’s extreme reflectivity, which may cause birds to crash into the water, die, and become calcified husks. 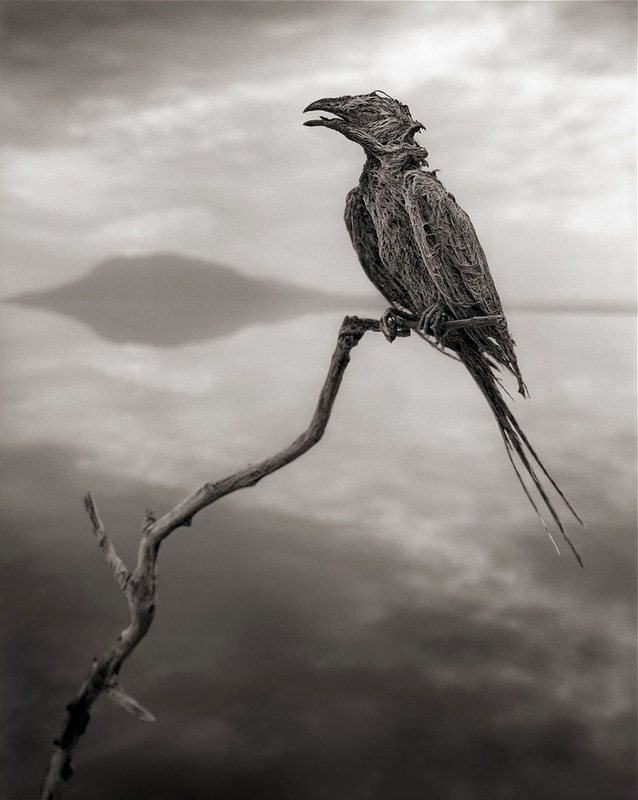 Brandt found the birds while working to capture the grandeur of Africa’s disappearing wildlife, which has been a major part of his life’s work. 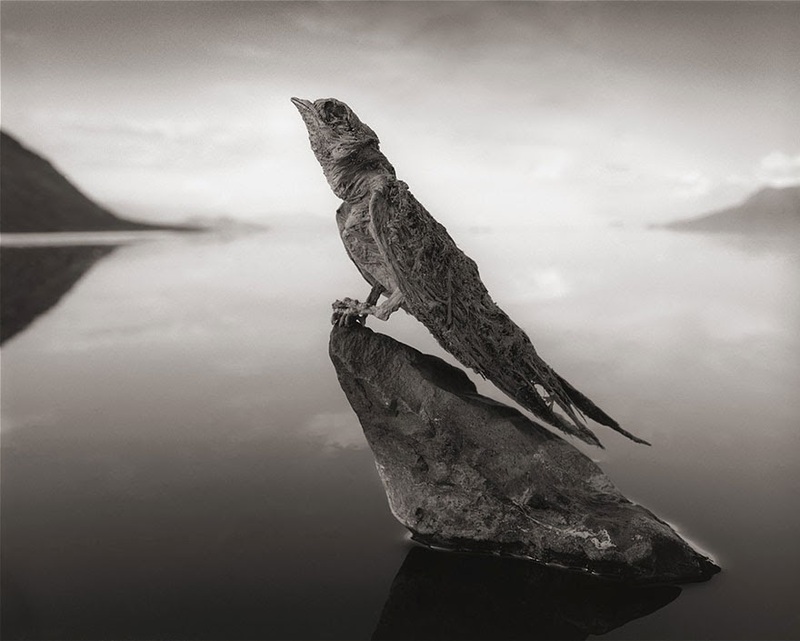 The birds were left as-is, except that the author posed them to make for better photographs.